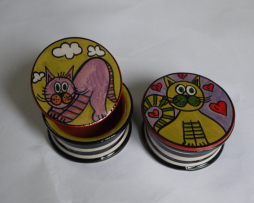 Small cutting boards shaped magnets. 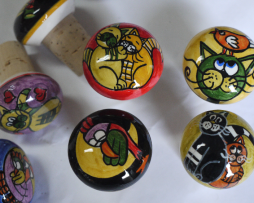 Ceramic and Cork bottle stopper, various decorations. 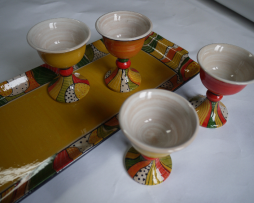 Liquor Set composed of tray and small glasses with interior solid decoration. 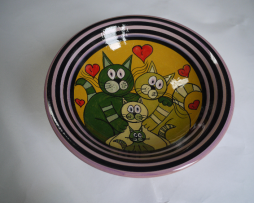 Fruit bowl with internal decorations “Tuscan Cats” and striped border. 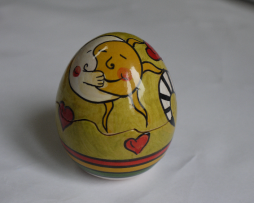 Small egg shaped kitchen container. 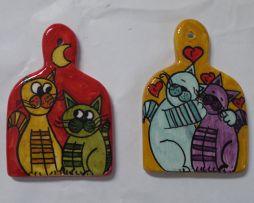 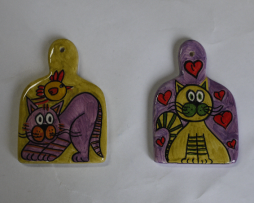 Small chopping boards shaped magnets. 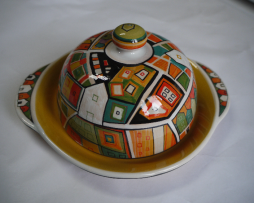 Butter dish with decorated saucer. 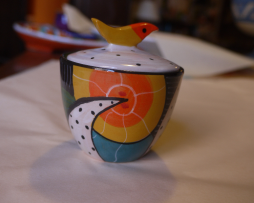 Sugar bowl with small bird shaped knob.